Work towards accomplishing many small goals instead of trying to accomplish a huge task. 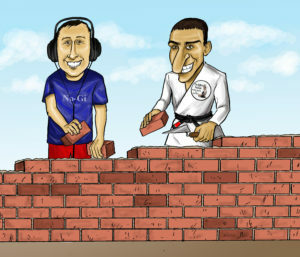 This week we are giving advice to white belts. It is a great conversation to help anyone enjoy the white belt journey. 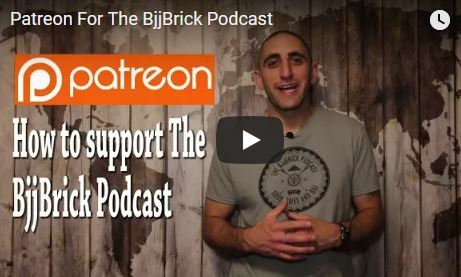 Find out how to support the BjjBrick Podcast here! BjjBrick Q&A 24 How many gis do I need? When you are just starting BJJ a common question is to ask “how many gi’s do I need” I offer some advice on getting your first gi and reasons for a second gi. 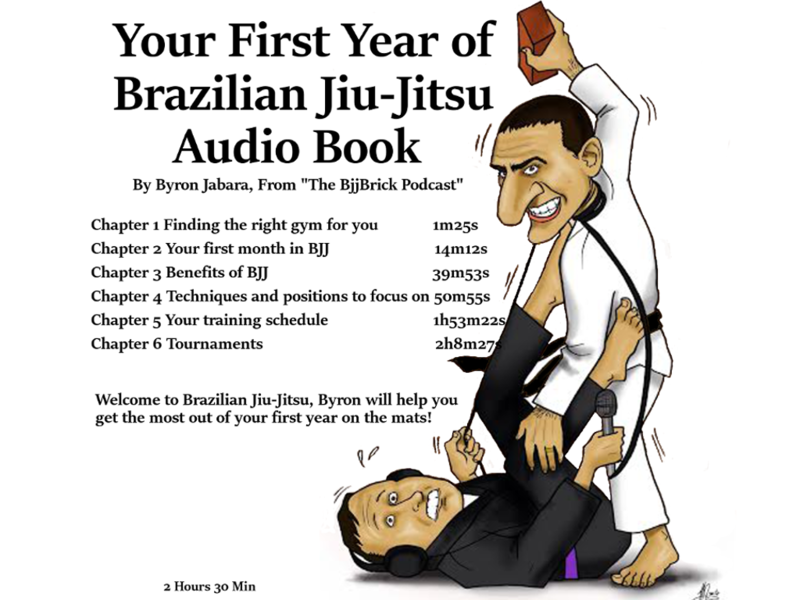 Some stuff in BJJ you need to know, while other things fit into the good to know category. This week we have a fun and informative discussion about how things fit into these categories. Today we are talking about mistakes made on the mat. We share some personal stories and things we have noticed. Korbett’s Kids Epi 1- Korbett Miller answers a question about kids training to compete. Check out Korbett’s website here for more info on developing a strong kids program at your academy. 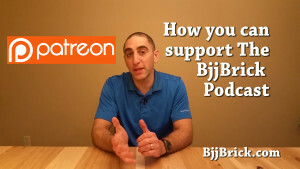 Please check out this video if you are interested in supporting The BjjBrick Podcast. It was 2002 and I had started training Brazilian Jiu-Jitsu with John Castillo. John was a purple belt and he opened up a school in the back of a used golf supply shop. One of the first things that John taught me was not a submission or a sweep, it was not even a position. John showed me how to break-fall. “You are going get knocked down and thrown as you learn Jiu-Jitsu; you need to learn how to fall safely.” John explained as he taught me how to break-fall. At the time, I was 22 years old and learning how to fall was not exciting. I wanted to learn how to choke and armbar people who were bigger and stronger than myself. But thankfully I was not running the class, because learning how to fall is important if you want to keep getting up. Over the course of my Jiu-Jitsu career, I have fallen many times. This early lesson has payed off by keeping me on the mat. 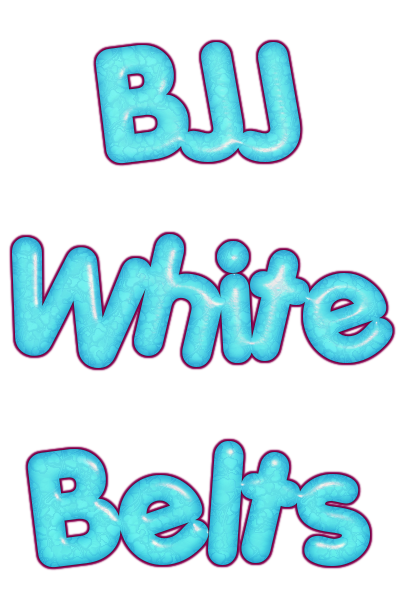 Today we are going to be talking about the different types of white belts in BJJ. 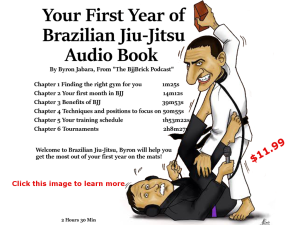 You might be a white belt or you might be coaching one, this episode should be a benefit to anyone who trains Brazilian Jiu-Jitsu. Totally new: You may appear to be a blank slate, but you are going to bring something different to the table. Good for you for getting in there and trying it out. In the long run this grappler should be a smooth rolling partner. Coaching tip- Make it fun. Wrestler: We welcome this talented grappler to the BJJ mat. Your years of hard work on the mat will pay off. Find ways to adapt your game to dealing with the different positions and submissions. Your mat strength and ability to scramble well are priceless. We recommend Justin Rader’s new DVD for any wrestler looking to transition into BJJ (we put a link at the Bottom of the page). We talk about the big cultural difference between BJJ and wrestling. Wrestlers get a big advantage in getting to compete a lot in a short amount of time. This helps get rid of the nerves that may hit many people who do BJJ. Coaching tip- Help them transition there skills to fit BJJ, and make sure they learn both sides of the game not just the top position. Experienced with other martial arts: No matter what art you have dedicated yourself to learning there will be benefits from what you know. Judo is a great martial art back ground for BJJ. The striking arts are a lot different but you learn a lot of discipline and the ability to deal with pain and discomfort. 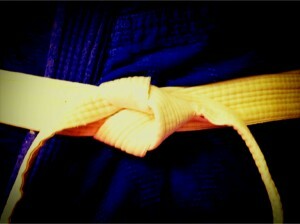 Do remember, that you are doing a new martial art and you need to leave your colored belt at home. You will be starting as a white belt, if you walk in wearing a colored belt some students will probably go a little too hard on you thinking that you are ready for it. Coaching tip- Help them stay positive, and acknowledge their accomplishments in the other arts. Strong: Congratulations you have put the time in the gym and became very strong. At first your strength will seem like it is failing you, as smaller players teach you that strength is not everything. In the short term learn the techniques. In the long run your strength will be there for you and make your moves even better. Coaching tip- Pair them up with people who will roll safely. Try to get them to focus on the technique. Skinny: This person will often have a difficult road as a white belt, but if they hang in there they can become a technical beast. Most schools have a lot of smaller people, they will be happy to share there skills with you. Coaching tip- Acknowledge that it is a difficult road but it will soon get better. Protect them from catching too many hard rolls. These grapplers will make a coach proud. Overweight: If loosing some weight is a goal BJJ can help. Try to find ways to enjoy exercise and if you have fun with BJJ you are on the road to success. Don’t push your self too hard, keep it fun. During openmat you can take a round or two off to take a break. Your weight can be an advantage, try to avoid using your weight in ways that if you lost your weight your BJJ would suffer (no big guy moves). If you are not on the mat yet, just give it a try. Coaching tip- Push them but not too hard, and stay positive about progress. Old: You are older and wiser (hopefully). Listen to your body. Don’t ignore your ongoing pains. BJJ can be hard on your body so go at your own speed. Roll with people who are not likely to injure you, it is okay to avoid some people. Try to give your body time to heal in between days you train. Even though you may lack with experience on the mat you might find yourself in a leadership role with the team. Coaching tip- Understand that they may not be able to train as much as the younger grapplers. Find out what there goals are and help them reach those goals. Young: First off we must say that you are NOT invincible. If you have the opportunity to wrestle in school we both (Gary and Byron) recommend it, even if it means you take some time off of BJJ. We list many advantages to doing some wrestling, even if you are not great at it. Coaching tip- It might be hard to let one of your students leave for wrestling season but they will grow a lot in that time. Just be sure you call them and make sure they get back in the gym after the season, they might bring a friend or two back with them. Make sure the young grappler understands that it is okay if they don’t win as long as they learn from it. Athletic: If you are good at other sports try to find some unique aspects that you bring to the table. Athletic people just seem to pick up things quicker, focus on a few moves and get really good at them. Coaching tip- Find ways that they like to get coached. They are use to getting coached and should take it better than most. Competitor: Remember that you are a white belt, competing against other white belts. This is just the first step in your competition journey, good or bad learn from it and look to move up in the ranks. Develop a game plan with your coach and try to force your game on your opponent. Stick to the game plan. Coaching tip- Help them avoid burnout, expectantly after a loss. Busy: You have a job, a spouse, a family, or what ever is taking your time. We recommend that you try to find time to grapple at least once a week. Coaching tip- Having a wide range of times people can train will open up opportunity for busy people to roll. Bonus (you): Everyone is different, I am guessing that you can relate to more than one of these categories. Find what works for you. People grow at different rates, you might get promoted quickly or slowly. Just keep training. Quote of the week: “Don’t listen to what people say, watch what they do” Unknown. Watch someone teach a technique, but then also watch them do it as they roll. There might be some small details they forgot to tell you. We read a list that was made on our Facebook page of movies that can describe your BJJ game. Watch Byron fail at trying to quickly make a grilled cheese sandwich before heading to BJJ class. Justin Rader’s Hybrid success formula: We have both trained with Justin and are very excited to get into this DVD, and learn from this world class grappler and coach. Two things you can expect at a BJJ class. For students new to BJJ, I recommend learning two moves from each position. This will accelerate your learning curve. Focus on two submissions from each dominant position, and two escapes from bad positions. This will guarantee that you will have something to work on no matter what position you are in. Don’t fall into the trap of learning too many moves from one position and being weak in others. It is better to just have a couple moves that you are really good at. What moves should you focus on? You should be focusing on basic moves. You’ve got to learn to walk before you can run, if you try to run before you are ready you might find it hard to breathe. If you get your basics down solid from the beginning you will always be working from a strong foundation. It will be helpful if you pick two moves that work well together. 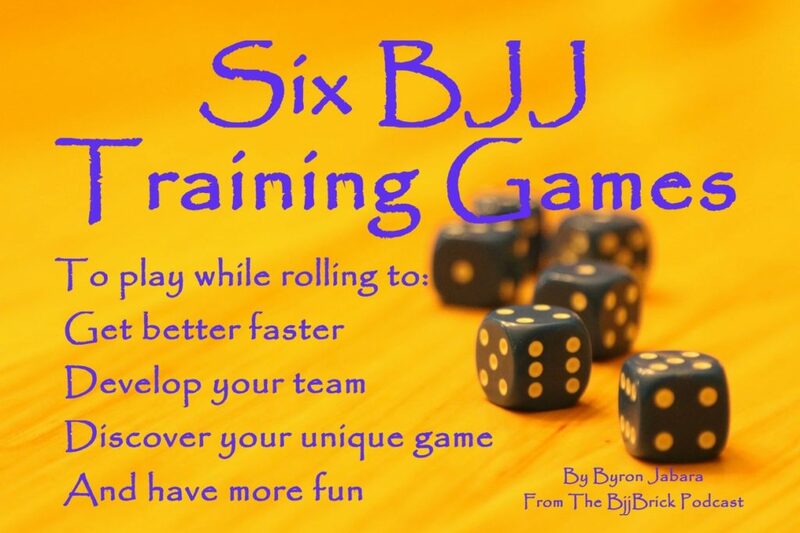 Ask the more experienced grapplers what two moves would work best for you (If you are having difficulty picking two moves email me and I will be happy to help BjjBrick@gmail.com put “two moves from each position” in the subject line). Why does this help me learn? Once you pick your techniques you will have something to work on with focus in each position. You will do much better if you have specific moves to try, rather than just doing what ever pops into your head. Focusing your training will give you clear results. An example- You start from standing and you are looking for an opportunity for either your double leg or your arm drag. After getting the double leg, you start working your two passes. You switch back and forth a few times from the two passes but eventually you pass to side control. From side control, you start to work on his shoulder but your opponent is defending it so you try the armbar. He escapes and ends up in your guard. You try to do a hip bump sweep but he defends it and you lockup a tight guillotine. BJJ has a ton of positions! That is true, BJJ has a lot of positions. You are not going to learn two positions from each of the many different guards, or each different type of side control quite yet. Just focus on the basic positions. This is what I recommend what you focus on- Feel free to print this PDF and write down what you are working on. Focus on learning two moves from each- Takedowns, Guard passes, Techniques from guard, Subs from side control, Subs from mount, Subs from back, Escapes from side control, Escapes from mount, Escapes from back. Once you end up in one of the positions take a moment to remember what you need to be working on and then get to work. You will be effectively drilling while rolling. A news letter is sent out every Tuesday. At the bottom of the news letter there is a link to our free audio books. 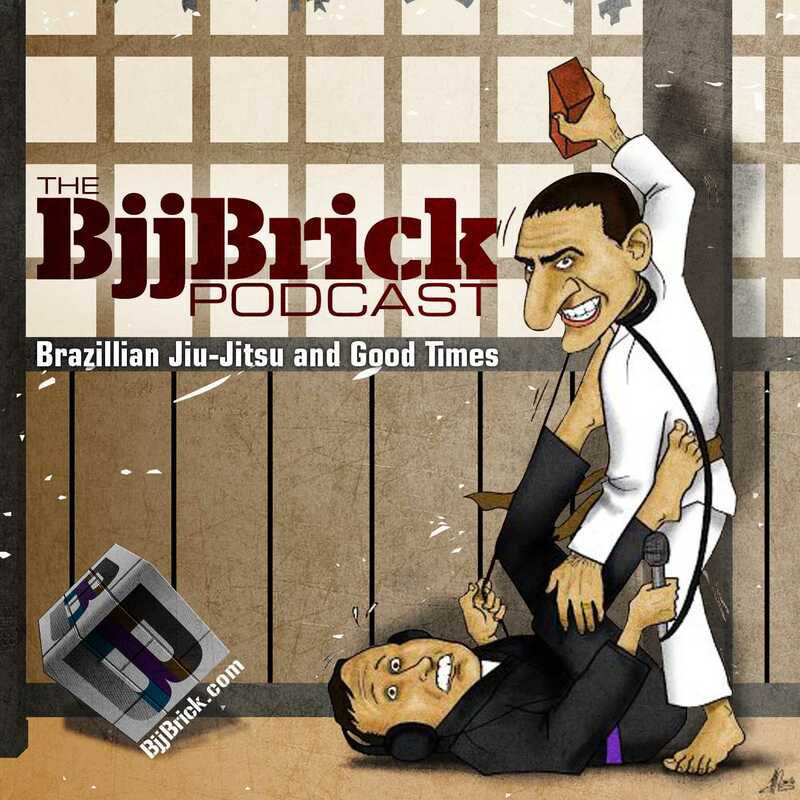 Plus never miss an episode of the BjjBrick Podcast!